To Penelope’s surprise, she is down 20 hours of volunteer work at the school and according to Nikki, either she and her family can put in the hours or pay a fine. Which, at $50 an hour means $1000. So, screw going to Palm Springs with Max, she is chaperoning a dance. Which isn’t all bad. Yes, Sister Barbara and she aren’t necessarily chummy, but Max came along as her date and kept things interesting. Primarily by saying, “I Love You” to her and then, towards the end of the episode, after compliments Elena and Alex, saying he wants kids. Leaving Penelope a bit shocked since, you know, after about 13+ years, and seeing how much having kids put a pause on her life, another round isn’t something she was looking for. You remember Nikki right? It has been many an episode since we have seen her but she and Schneider are still messing around. However, when she claims him, in public, to other adults, he now wonders if they are serious. Then, adding in the way he was brought up, he even proposes to her. Thus leading her to pull them breaks hard because, up until that moment with Sister Barbara, when she called Schneider her boyfriend, she pretended her was her manny. So, as you can imagine, Schneider is devastated. To the point when Sister Barbara walks around and sees Penelope’s thrown away cigarette in hand, after she and Max exchanged, “I Love You,” he tells all of her business to kill her PTA president dreams. Leading to Alex. A girl named Emma uses him to make some boy jealous and, when she decides to ditch him, it leaves him feeling bad. Luckily for him though, Max knows just what to say to make him feel better. Really setting up the eventual Max meeting Victor storyline which could honestly go either way. With Syd being homeschooled, Elena tries to put up a front of not how cool school is, to maybe get her parents convinced she should go, but rather how cool she is. The truth is though, outside of the nuns and some of her teachers, like Ms. Wallace, she barely knows anyone and they barely know her. A truth she eventually arrives to with Syd which leads to the idea of them needing friends. Leading to the question of, what happened to the group from which they met through? Also, are we ever going to address Syd’s insecurities? Berkowitz and Esme broke up because it is Lydia he wants. But, once again, all she can offer is friendship and companionship, which Dr. B seemingly is ready to settle for. Victor Is a bit of a wildcard to me. On one hand, what he did to Elena in season 1 was shocking and very unlike most family-oriented sitcoms. Yet, at the same time, after being rebuked by Alex, off-screen, he seemingly has changed his ways. So how he’ll react to Max sort of taking his place with his family is a toss-up. It could be dramatic and lead to some hard truths, or Max and Victor may become friends and Schneider feels like the odd man out. It’s hard to say. 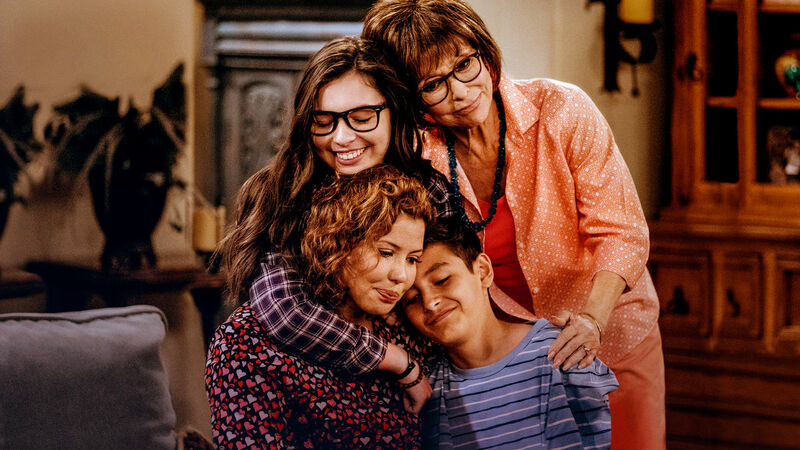 When it comes to dramadies, One Day At A Time is probably one of the few I think is a comedy with dramatic elements vs. a drama with comedic elements (such as Shameless or SMILF). With that, as noted in the last episode, it brings about uneasy feelings. For “Storage Wars” it was because a serious moment felt so out of place it felt like awards bait. But for this episode, whether it is Alex being used, or Schneider, or even Dr. B never being to a dance and Lydia reminding him their relationship can’t go beyond friends, there is this personal issue with such interesting storylines being made into jokes. I mean, Schneider and Alex for example. They, right now, are the only ones of the main cast not dating or even seeing anyone. Alex is touted as this cool guy, who gets hyped up by his mom and grandmother, yet he is single. Then, the one girl he thinks likes him, and is older and attractive, drops him for the guy she really wanted to be with. Now, I get the boy is confidant but after showing her off to his mom, sister, grandma, and etc, and then being embarrassed like that, it just seemed odd he could bounce back so easily. And then with Schneider, considering how much I think he likes the idea of family, especially through integrating with Penelope’s, him being treated like that, in my mind, would be a bit of a trigger for him. Especially with him talking about it may be time for him to get married and how excited he was about Nikki claiming him. But, you know, I think there comes a point where everyone has different wants and expectations out of shows which are as rare as this, and not everyone can be satisfied. For someone Latinx, they may want certain aspects of the culture featured more, less, or touched upon and made consistent as a sort of unnamed shout out to them and their family. For people like me, while we may appreciate the comedy of the show, there might also be a desire for some of the dramatic bits to carry over episode to episode and not always made into a lighthearted joke. A sort of, laugh to keep from crying means of coping. Which is sort of the tax shows like this pay. Expectations get so high because there aren’t many shows with the same production values, loveable characters, and culture, that when they don’t hit their mark every single time, you get disappointed. Something that is the primary explanation for probably any critique I have of this show – if I was to be completely honest.